An outdoor kitchen has several advantages, but most importantly, it lets you enjoy the taste of food without feeling confined by four walls. The idea to set up kitchens outside in the backyard or on the patio can be both rewarding and thrilling. However, there are some points to keep in mind while you consider installing one. This blog post brings you some ideas suggested by outdoor kitchen designers in OKC that can help you turn your yard into a landscaping paradise. 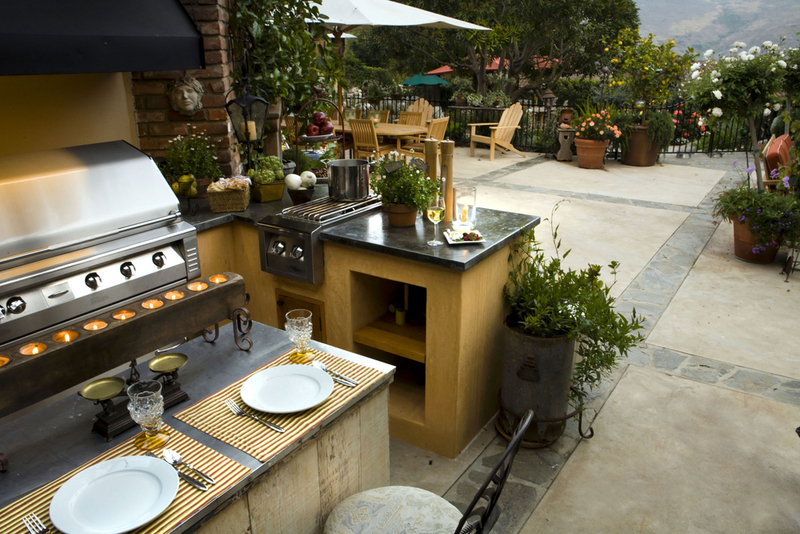 The first step to set up an outdoor kitchen is to identify a suitable place that will provide easy access to the house. This makes outdoor cooking easy, as you can get anything you want from inside the house quickly. Also, while choosing the spot in which to set up your outdoor kitchen, experts suggest sticking to the places with easy and regular water supply. You should look for the places where both inflow and outflow of water can be easily maintained. This will ensure your outdoor kitchen remains hygienic. In addition, look for spaces where there is ample light and ventilation so that cooking and eating outside can be full of fun. A spot in your yard that gets natural shade during sunny days can be an apt place for setting up a kitchen. You can also put up umbrellas or canopies to keep the sun off if you do not wish to go for a pergola. Clients often brood over multiple designs while trying to choose one that will suit their needs for an outdoor kitchen. It is quite important to figure out the purpose of having an outdoor kitchen as well as the size that will suit your needs so that the perfect pattern can be chosen. Some people choose extensive designs for outdoor kitchens to accommodate a large number of people, with features like a fire pit or bar. In contrast, simple designs suit families with fewer people. Thus, expert outdoor kitchen designers in OKC recommend choosing the right pattern for your outdoor kitchen beforehand. To do this, it is wise to consult professionals and go through several designs and landscaping ideas. 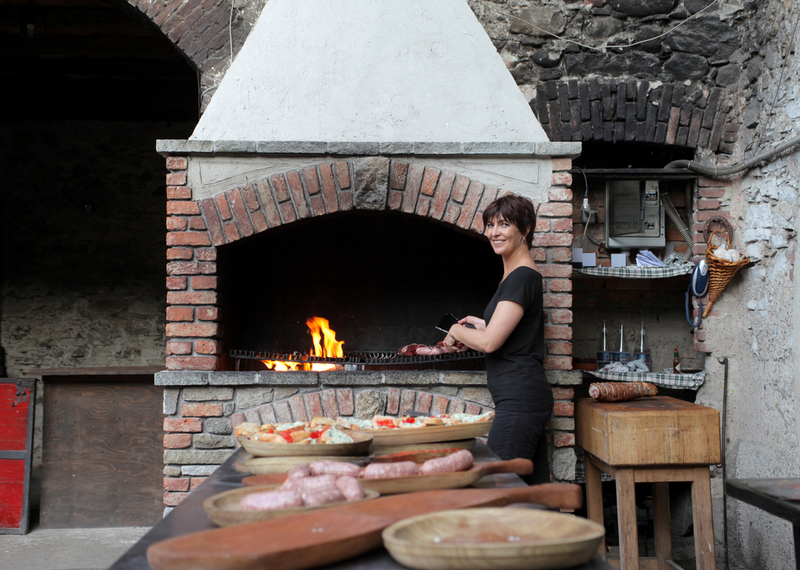 An outdoor kitchen, just like an indoor one, should have ample space for preparing, storing and serving food. An outdoor kitchen should efficiently use the total space available. Include counters, appliances and compartments to store food and beverages in your kitchen. In addition, there should be a proper arrangement for cleaning dishes and produce. 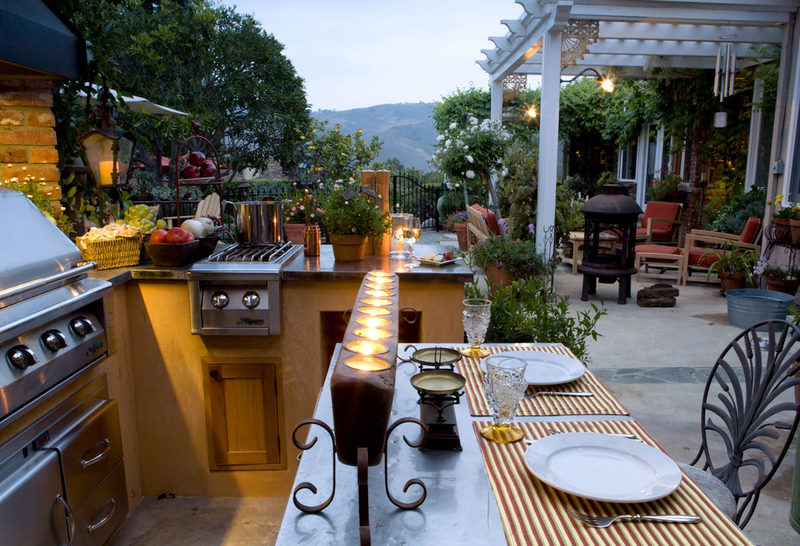 The perfect lighting for an outdoor kitchen should enhance visibility and add to the ambiance. Outside, the naturally-lit atmosphere can make it quite tricky to decide on methods for proper lighting. A lot of outdoor kitchen equipment like grills have built-in light panels. 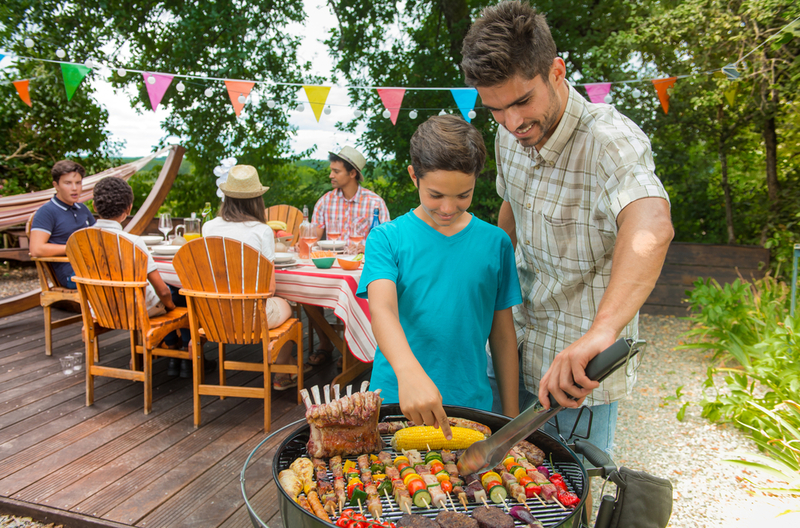 Grills, stoves and fire pits play a very important role in cooking outside. People choose their grills according to their kitchen layout and design. Expert outdoor kitchen designers in OKC suggest clients choose good quality grills for their patio kitchens, as these can withstand harsh climatic conditions. Cheaper outdoor kitchen appliances often get damaged and invite additional maintenance expenditures. Most indoor kitchens have a sink, a faucet and cabinets in which to store food and utensils. An outdoor kitchen should have these as well, but keeping things simple is the key to enjoying a great open-air kitchen. In order to do this, you should include proper arrangements for cooking and serving food. Expert designers will help you with several ideas to use the space in the best way possible, like beautiful countertops made of flagstone or polished granite, stone or boulder sinks that blend perfectly with the outdoor environment and matching cabinetry in which to store food and drinks. 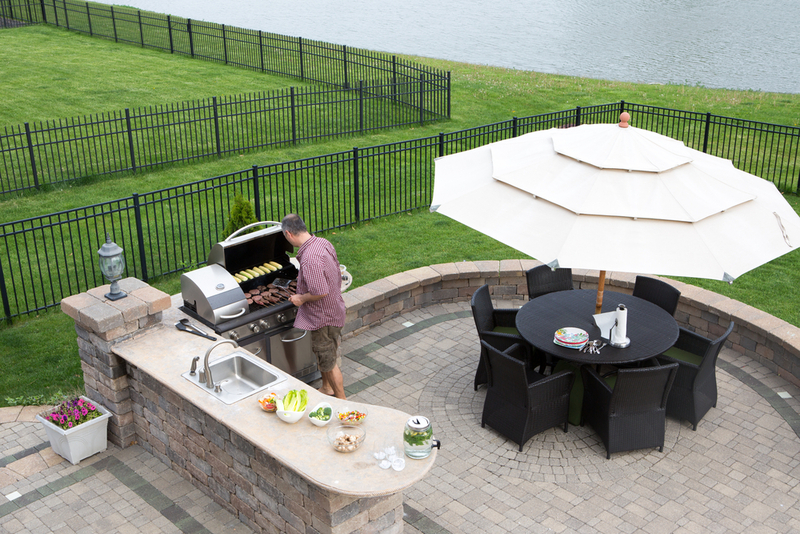 Choosing just what you need will make your outdoor kitchen a chef’s paradise. The big mistake people opting for outdoor kitchens generally make is ignoring the space for food preparation. As you know, chopping and peeling are indispensable steps in cooking food. Therefore, making sure your outdoor kitchen has ample space for these activities is quite important. Also, many people forget that the lack of artificial lights and the natural environment hinders illumination for outdoor kitchens. You should therefore consult good outdoor kitchen designers in OKC to avoid falling prey to these common mistakes.